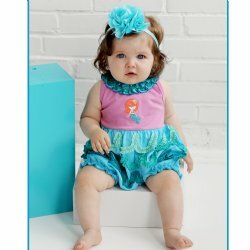 She'll just dance right into your heart in this Lemon Loves Layette "Sideways Ballet" bubble romper. We just love the pairing of butter yellow and hot pink accents with the indigo blue and white stripes. 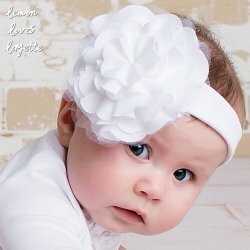 Just perfect for spring and summer outings. 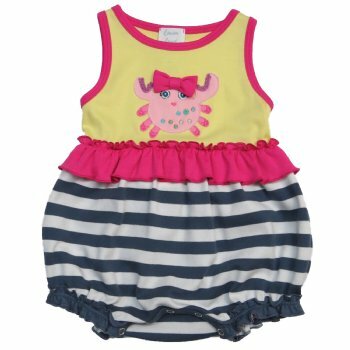 There's nothing "crabby" about our sweet crab appliqué in her pretty bow and ballet slippers that's appliquéd on the bodice. 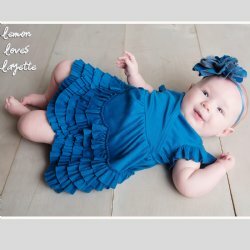 The hot pink ruffle goes from front to back. 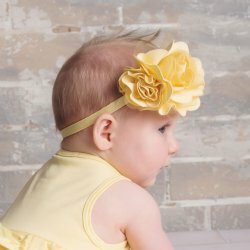 Consider pairing with the Lemon Loves Layette butter yellow rose headband as shown in the photo. 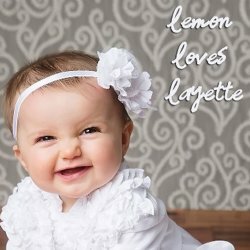 You can view the Lemon Loves Layette 2018 Spring and Summer Collection by clicking this link.